How Much Does White Ice Granite Cost Per Square Foot? White Ice granite will more often than not be classified as an exotic granite. Anytime you choose an exotic granite color, the associated costs are going to be exponentially higher than with more common colors. White Ice granites price on average is between $70-$80 per square foot. For many, it’s remarkable appearance makes it worth its relatively high price. White Ice granite will typically be showcased in the Level 3 assortments of granite at your local countertop shop, or fabricator. White Ice granite is quarried in Brazil but is not produced in abundant numbers. Hence, why as we referenced above this particular granite is an exotic and carries a relatively high cost. When looking at White Ice from a distance you will notice it has a mainly white base color. However, there is much more color variation going on in this stone, with an abundance of grey mineral deposits running throughout the surface of the stone. These grey mineral deposits can almost look blue in appearance and are accompanied reddish brown dots spread across the slab. These reddish/brown deposits make up only a tiny percentage of a slabs surface. The depth and tone of the grey mineral deposits can be dramatically different from slab to slab. Some slabs will feature rich dark deposits, while others will be on the lighter creamier side of the color spectrum. Not to be overlooked are the quartz deposits that add a shiny glimmer to the stones overall appearance. 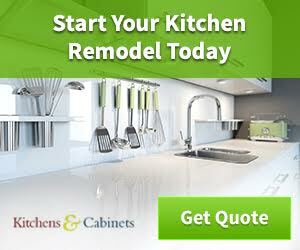 What Cabinets Look Best With White Ice Granite? The consensus among industry professionals appears to be off-white or white cabinets are the ideal match for White Ice granite. White or off-white cabinets aren’t the only great options to pair with this magnificent stone though. 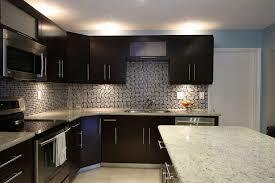 This granite also pairs really well with black and one of my personal favorites grey cabinets. What Color Backsplash Pairs Well With White Ice Granite? The most common finish for White Ice granite(and most granites in general) is polished. A few other less popular choices for surface finishing are honed, brushed and leathered. Learn more about different granite finishes here.